After days of offering media stories about a single, Saturday night gunshot from a River Road balcony, NYPD suddenly adjusted its version to five shots fired, not from a building but from a publicly accessible area outside. A reward was posted. Gunshot Update: Is Manhattan Park Unfairly Implicated by News Reports? Fears of random shootings from across the East River justifiably frightened residents at One East River Place, a luxury apartment building at the foot 72nd Street, which was hit twice, but does pointing a finger at Manhattan Park make as much sense as the New York Post implies that it does? If you know Judy Berdy, you know that she's an historical observer who doesn't necessarily over-value the past as much as she understands the connections, the ties to then and now. That's why, when she became of one of the first Roosevelt Islanders to set out on the NYC Ferry's new Soundview Route, we were grateful that she offered to share her thoughts. Starting tonight (Friday) at 10:45 p.m., there will me no F Train or other subway service southbound into Manhattan from Roosevelt Island. Service resumes Monday morning at 5:00. Here are some things you can do about it. Wednesday, August 18th, is a big day for NYC Ferry. It's new Soundview Route opens, bringing service to The Bronx for the first time. The Astoria Route, serving Roosevelt Island, is being adjusted at the same time. "We are just as frustrated as the community is with the lack of progress on this access road project being handled by the City’s Department of Environmental Protection," said a spokesman for RIOC President/CEO Susan Rosenthal, who's made Island beautification a theme of her administration. Alonza Robertson supplied additional details. Because RIOC's either unwilling or unable - does it matter? - to tell the whole story, we'll try to fill the gaps of what you're not being told. Main question: Should you be worried? Yes, you should be. Here's the background. "After reviewing a second round of Roosevelt Island outdoor drinking-fountain water test results, a top New York State health official, in a statement released Tuesday, said the water is up to standard..." So goes a statement released yesterday by RIOC. Further reading shows troubling gaps and the standard lack of transparency in RIOC-speak. NYC Ferry encourages you to climb onboard for a ride to explore New York City's neglected waterfront neighborhoods. Last year, we took that advice with a trip to Family Friendly Long Island City, after service finally started along the Astoria Route. We also traipsed through Williamsburg before the chill of autumn came to town. Now, we got a delayed year underway with a Sunday visit to Greenpoint, North Brooklyn. 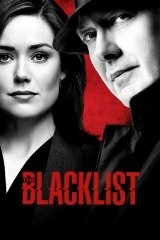 Avoiding criticism and anxiety engendered when it failed to notify residents that the filming of a TV episode, two weeks ago, would expose The Tram to a feigned arial attack, RIOC announced the NBC series, The Blacklist, will film here, this week, Monday through Friday. So, don't be alarmed if you spot police cars and officers pursuing bad guys fingered by James Spader.